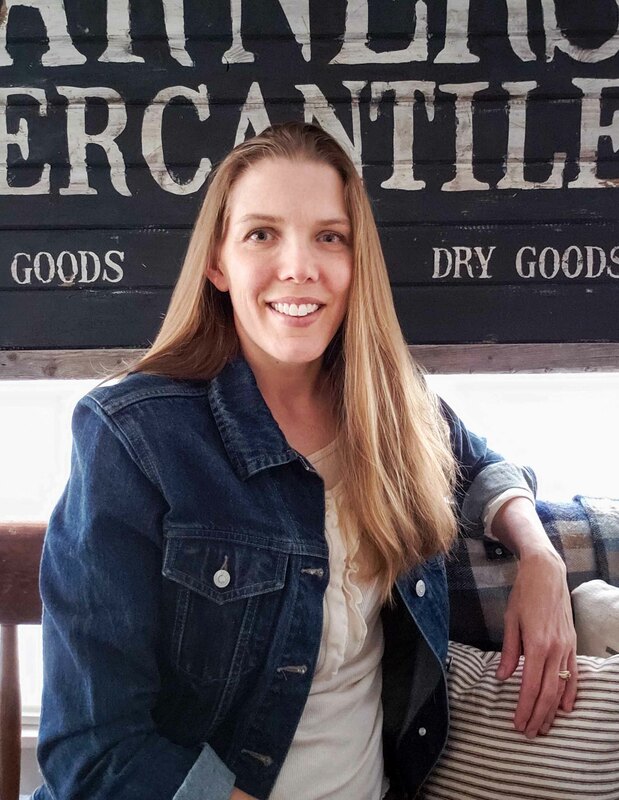 You may have be wondering, but are hesitant to ask, what are my go-to tools and supplies when starting a furniture project. Wonder no more! 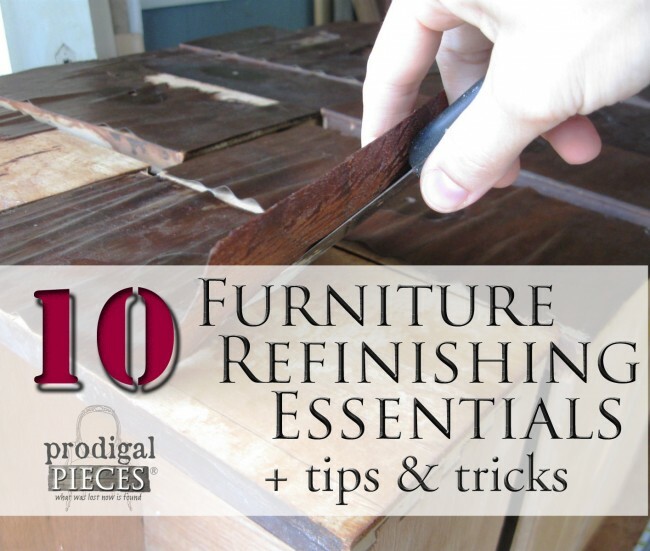 I have selected the top ten furniture refinishing essentials that help me take a piece of furniture from drab to fab. 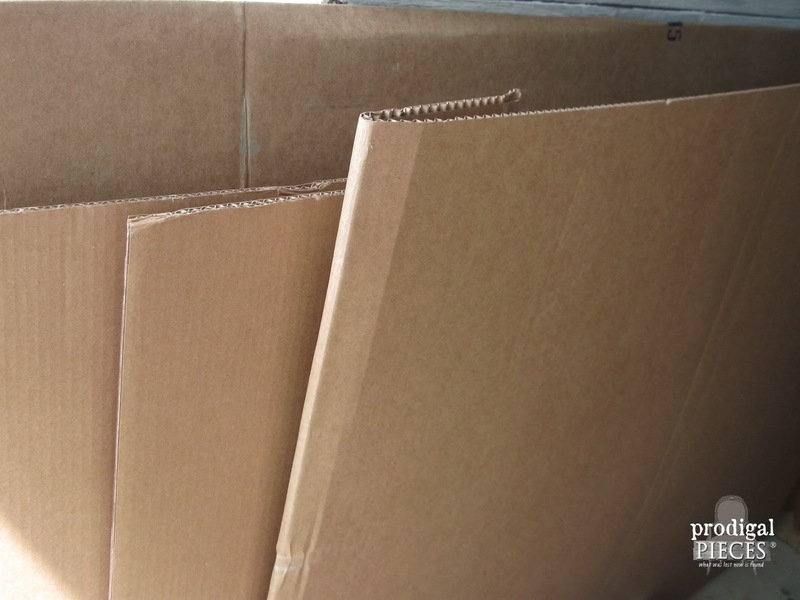 Cardboard – yes, you read it right! You might be thinking, well duh…I knew you needed those things…but let’s take a closer look at them. For me, not any old sander will do. I prefer an orbital sander (though belt sanders take it off quick when working on a heavy duty project! ), particularly one with adjustable speed control. It allows you to better set and maintain speed to get that finish you’re looking for. My favorite so far is this Dewalt 5-Inch Orbit Sander. I also look for ease of use when it comes to wrist strain. My particular sander is a lighter model and allows you to adjust your hand to different positions when sanding. When working on piece after piece your hands and wrists take a beating – no carpel tunnel for me! As for sandpaper, I typically have 3 different grits on hand. 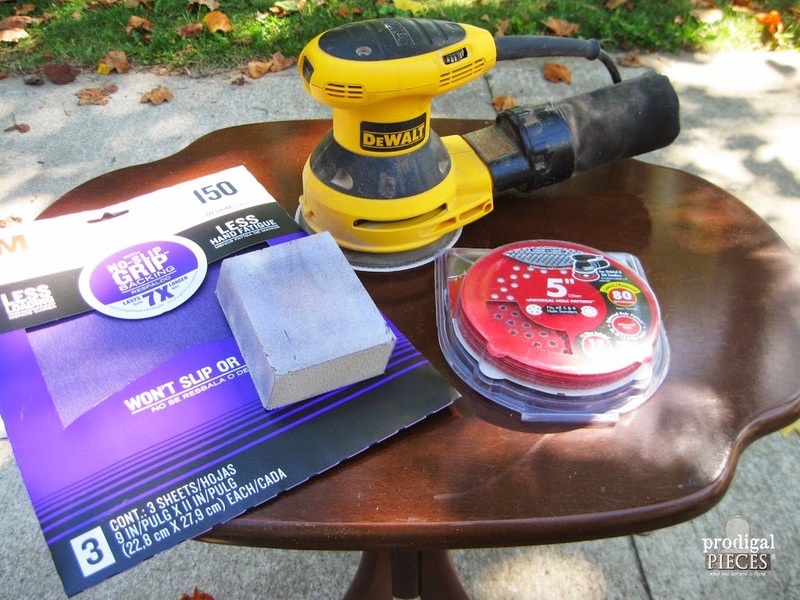 80 grit for bulldozing through a terrible finish or paint, 150 grit for the in-between stage and getting out gouges and smoothing down edges, and 220 for the finish. ~ DISCLOSURE: This post contains Amazon affiliate links. This means that I might make a few cents if you purchase an item I have recommended. Your price will still be the same, but the seller might pay me a tiny percentage. The 220 grit gives you the glass-like feel and is also useful for hitting the poly in between coats to promote adhesion. The first 3 levels of sandpaper are for my sander, but I also have varying grits for hand-sanding from 40 grit up to 400 grit. 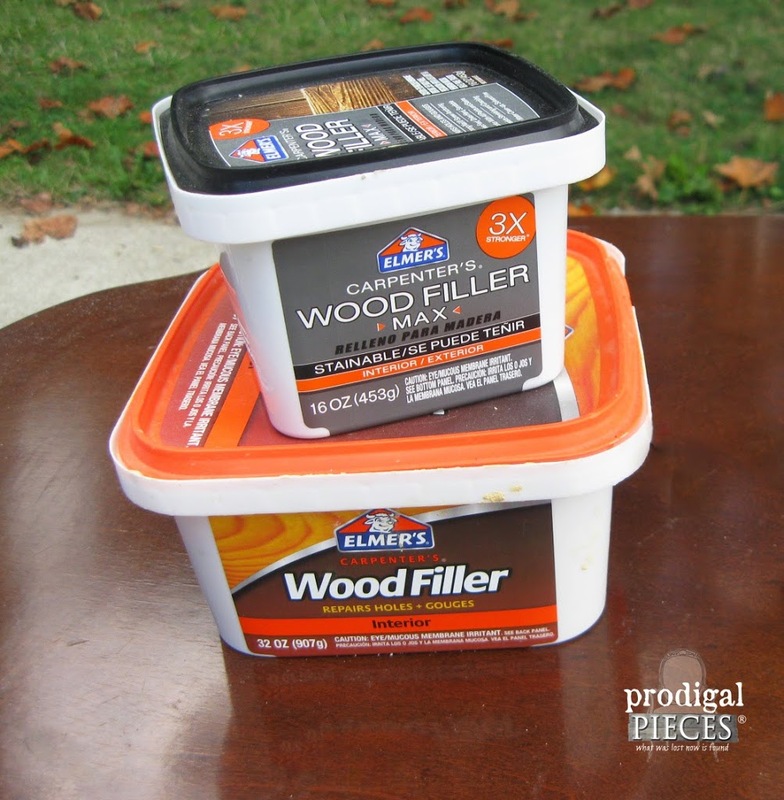 A furniture refinisher’s best friend! This stuff is like magic and can solve the most ugly of situations. 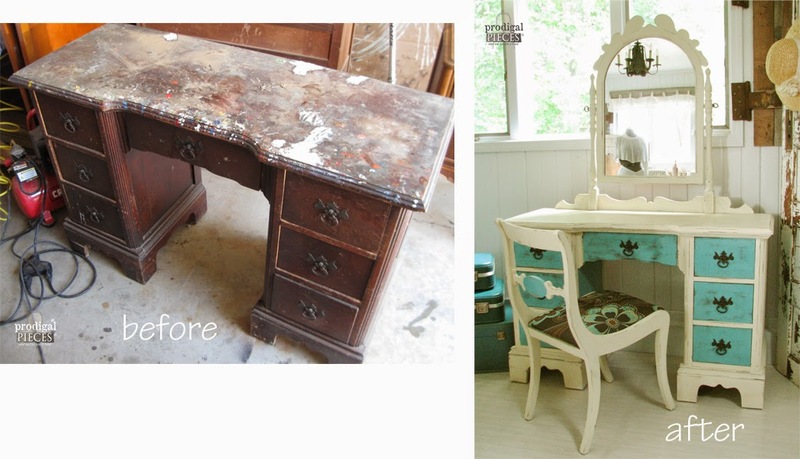 Remember my Ugly Duckling Dressing Table? I used an enormous amount of filler on that hacked up top. How to use? 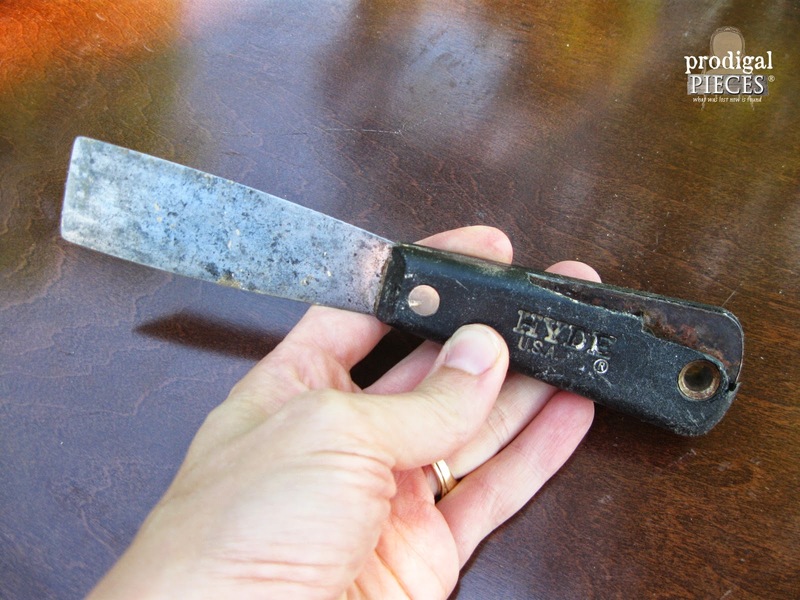 Just grab a putty knife or scraper and spread some on like butter on toast. A little tip: make a point to not put it on completely smooth, but leave a little loft to it because as it hardens it will shrink – you don’t want to have to waste time reapplying to fill a half-filled hole. Just leave enough so that you can smooth it to surface level. Also, try not to leave so much that it gums up your sand paper. It’s very versatile and dangerous – I can’t tell you how many times I have nicked myself with it – that blade has gotten very sharp over time! Duh-factor: anything with the word “knife” in it should be used with caution. ahem. I’ve had sooo many questions from followers on how I achieve a super-smooth finish when working with non-chalk based paint. After working on a paint crew AND just plain trial and error, here is what I have found to be the best…FOAM! I use foam brushes and foam rollers . They rock! Let me give you a for instance. 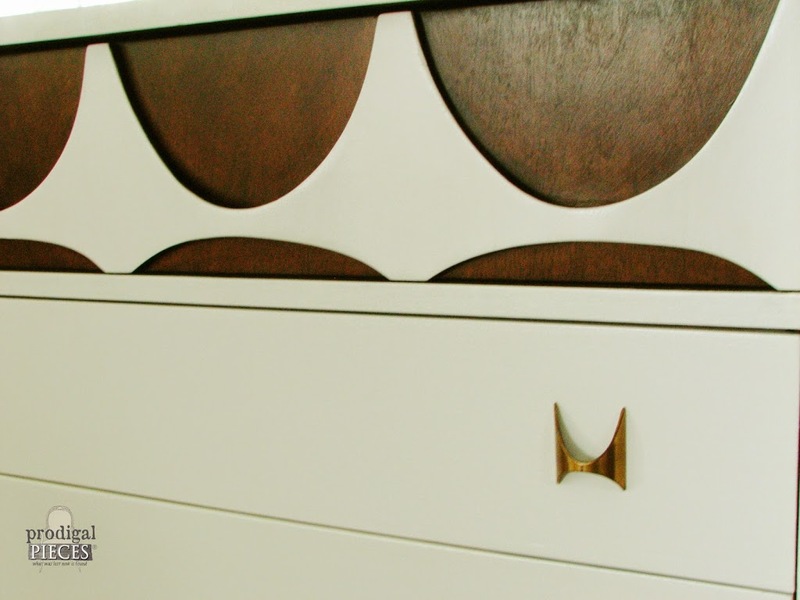 While working on my Broyhill Brasilia, I used paint and stain. I love the angled tip of a foam brush to get into those tiny crevices and the foaminess (is that a word?) 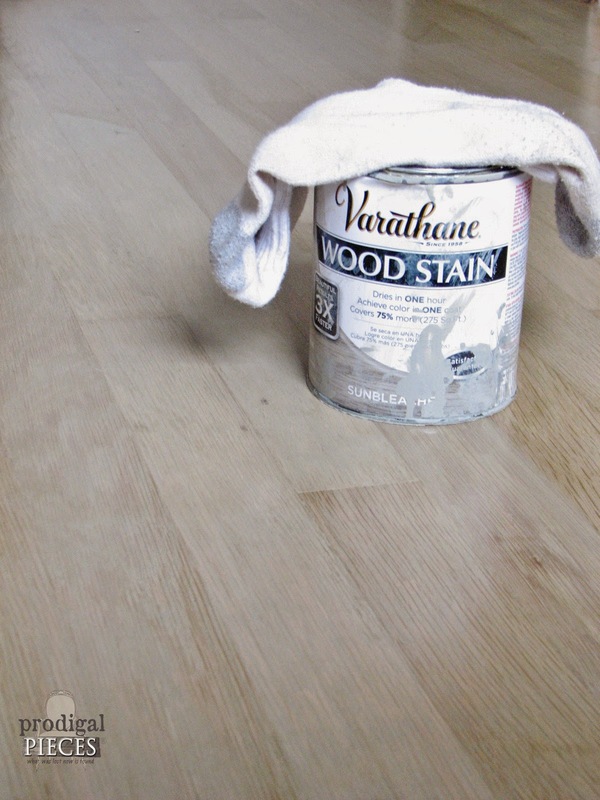 for creating a smooth-no-bristle-mark coat for both paint and stain. I also love that it stays firm when going near an edge so that you don’t that one stray bristle that likes to drag over the edge – that drives me crazy! When working on larger surfaces, I grab the rollers. Not your typical nap roller, but a small tightly porous roller, made for fine finishes. The DIY stores sell these rollers and the trays for minimal expense. A word of truth: There is a problem however with these when applying a poly finish with those rollers. They can tend to make tiny bubbles…grrr. That too is a hair-pulling problem! The solution? After I roll my surface even, I take the largest foam BRUSH I have and slowly drag it across without any pressure, and in one direction. I REPEAT: Slowly and in one direction. Since the poly is already applied smoothly by the roller, there is no need for more pressure. It’ll shine like glass! 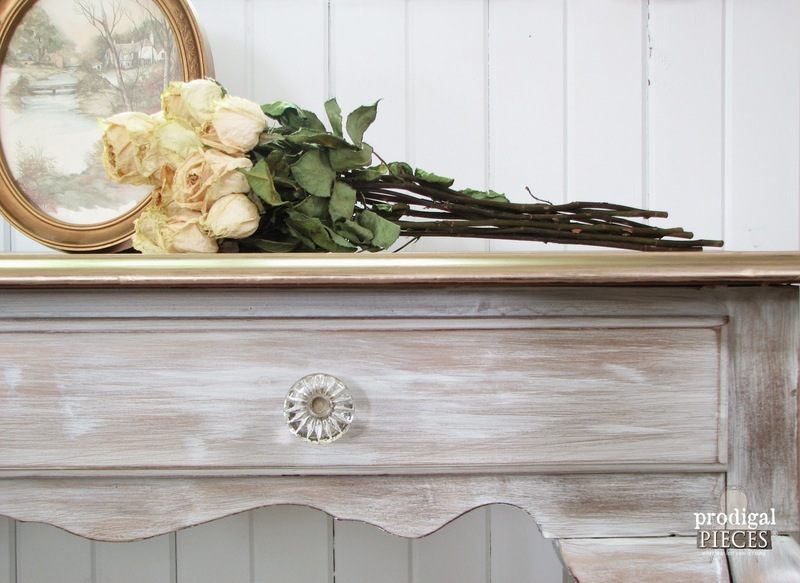 When using my chalk paint (my preferred method to paint with), I use a synthetic bristle brush found at Home Depot. Natural brushes are a great choice, but I’ve found these Harris brushes to work just as well and they’re cheaper. If you ever watch me picking out a paint brush, I’m the crazy lady who takes it out of the packaging to finger those bristles. They have to feel a certain way because working with a funky brush is time consuming and can really take a toll on your wrist and hand. The best part. Home Depot is my second home and is my main source for paint. 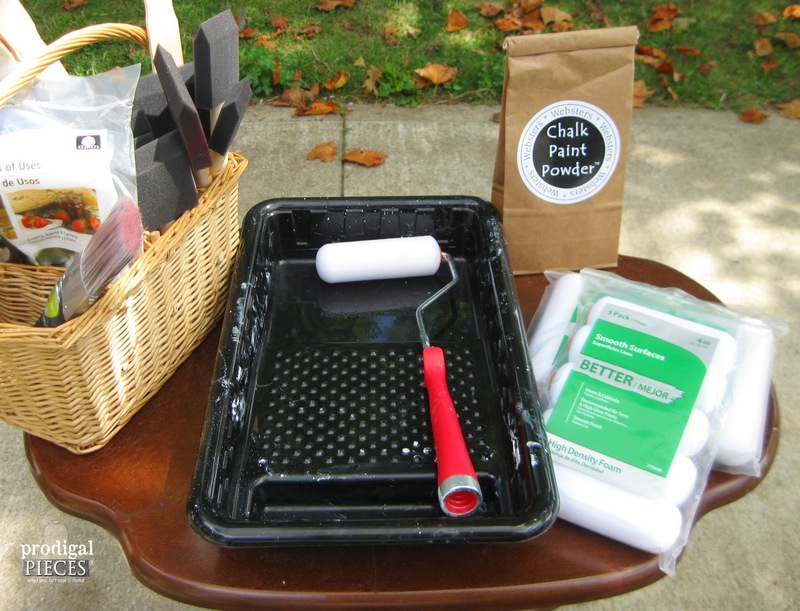 You might be saying, “But you use chalk paint, they don’t have chalk paint for furniture?” Aaaah. My secret comes out. One word: WEBSTERS. 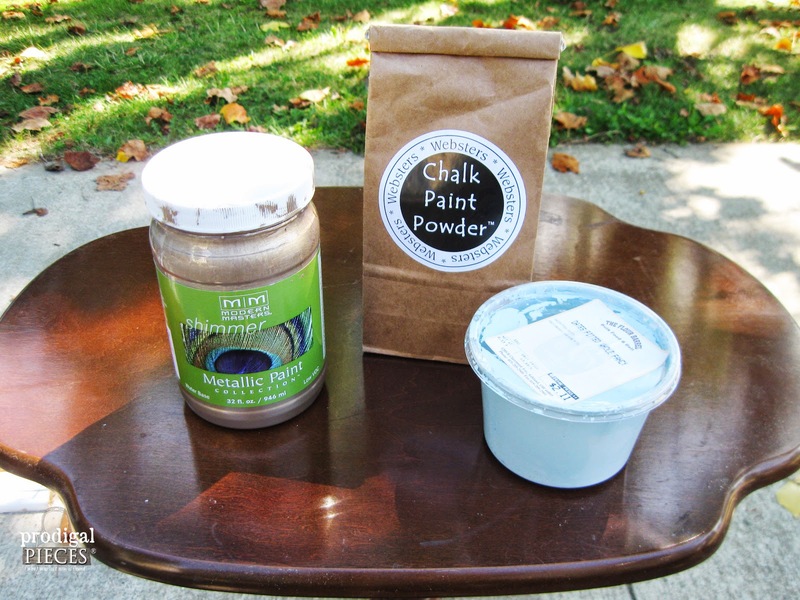 I absolutely adore Websters Chalk Paint Powder. 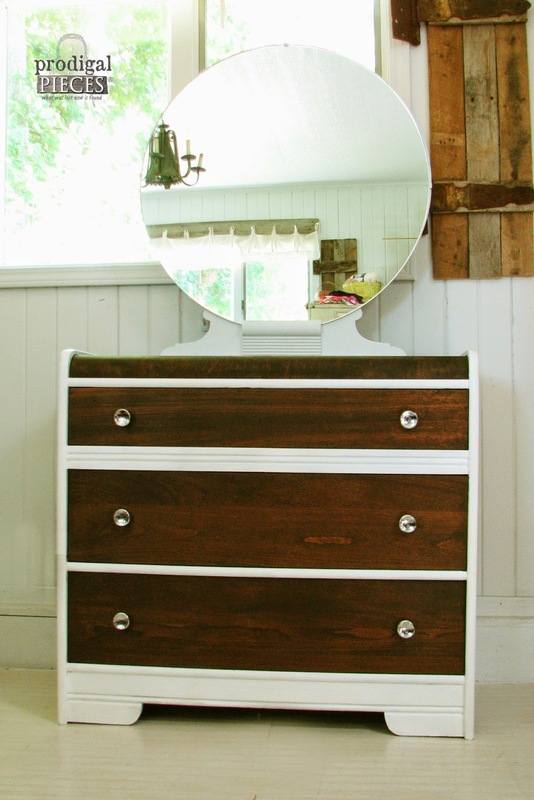 If can take any paint from flat to semi-gloss and turn it into chalk paint. It’s non-toxic (the paint still has it’s yickyness), and super easy to use. My clients love that they can head to their local store, send me the link of the color they chose, and match it up perfectly with their decor AND I didn’t have to set a toenail in their home to make the piece match! Perfect. 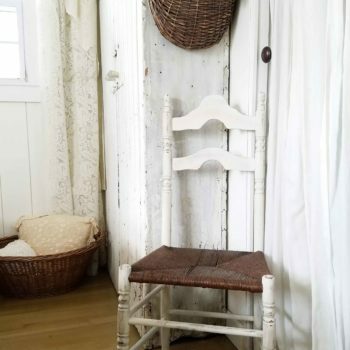 I also use paint straight out of the can for gloss finishes too, but I am so drawn to chalk paint because of it’s ease of use, self-leveling attributes, and easy cleanup. What’s not to love? For a glamorous flair, my go-to is Modern Masters Metallic Paint. Elegant colors, ease of use, and client favorite. 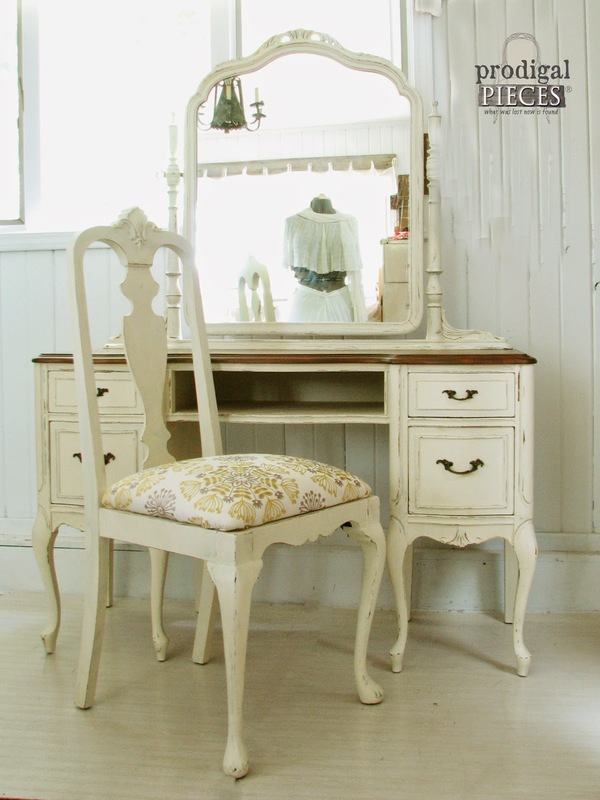 Sparkle is a girls best friend, like this leggy Queen Anne table I did. The wood lover in me adores watching a clean slate of wood turn into a whole new creation by just adding a touch of color. There are 3 stains, in particular, that have caught my fancy. Espresso by Minwax, Sunbleached and Early American by Varathane. I love the richness of the deep dark color of Espresso. 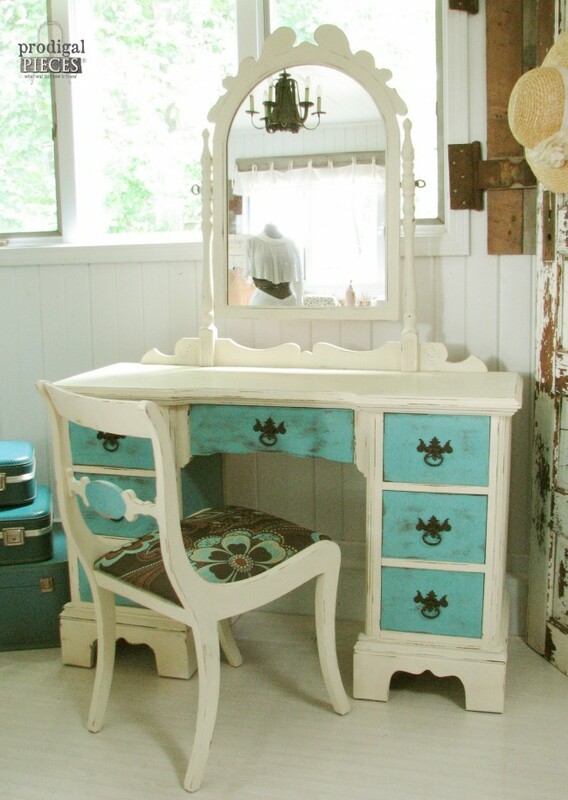 So lush and creates the most awesome contrast with white paint. Sunbleached allows you to create the weathered wood effect, like the floors in our master bedroom project or my beach-worthy coffee table. 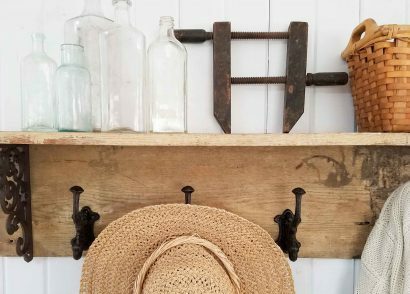 Early American was used on our faux barn beams in our master bedroom is my go-to for creating a timeless stained top with painted bottom piece. My first choice for a topcoat is wax. A hand-rubbed wax topcoat creates a lusciously soft finish that gives a time-worn feel. At this point I use Minwax products, but am hoping to switch to a non-toxic version in the future. (I don’t need to pay with my health while working on projects.) Minwax offers two different colors, natural and dark. Natural is my preferred wax, but I also use the dark for accentuating details in woodwork, and creating an overall aged effect. No brushes to apply, just a piece of cheesecloth (as the can suggests) to rub it on. 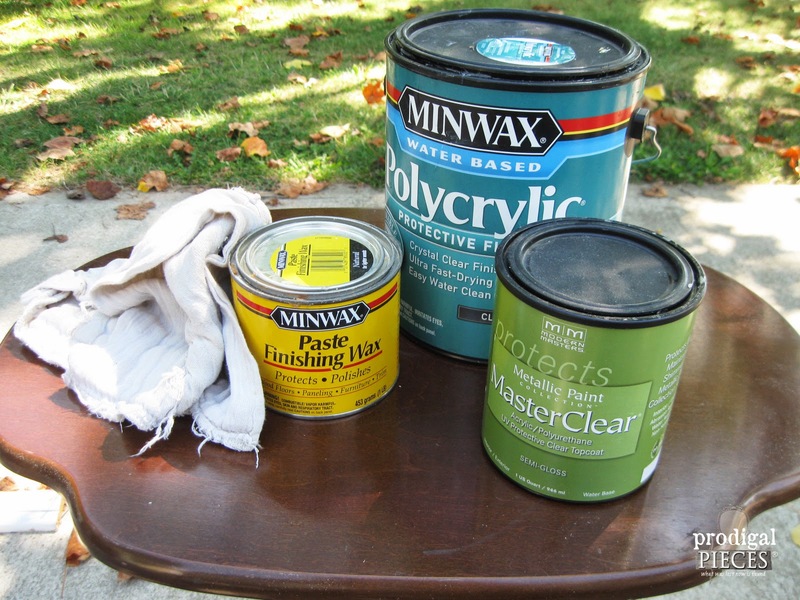 I also use Minwax Water-Based Polycrylic & Modern Masters for my topcoats. In order to create a smooth-as-glass finish, I do not use it straight out of the can. I have learned from others as well as trial and error that it is too thick to not get brush stroke marks, so I thin it a bit. Just adding the tiniest bit of water helps it to self-level. I don’t have a specific formula to share with you because I’ve used it for so long, I just know when it’s “right”. 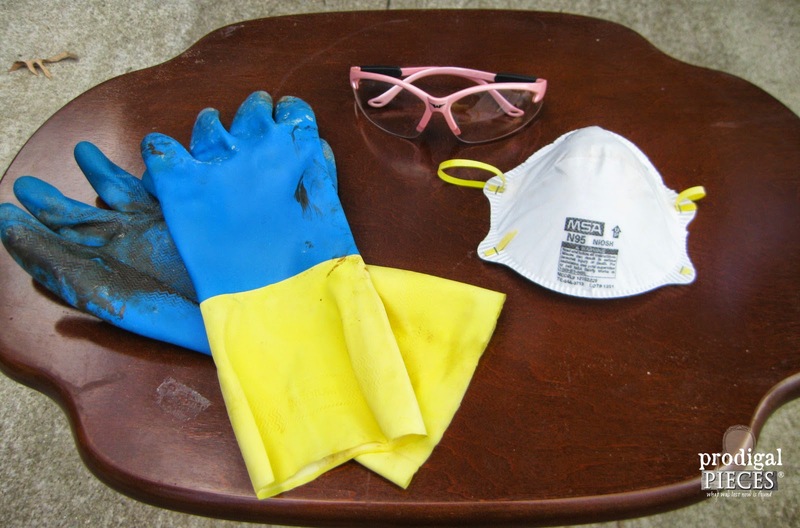 My health comes first to me and although it is quicker to just grab a rag and start working, I really feel that there are a couple items needed to protect yourself. A good quality neoprene chemical resistant gloves are a MUST. Your typical thin gloves, like you see in a doctors office will not work when using chemical products like waxes and such. Those things will eat right through them. I purchase my gloves from a local hardware store or on eBay in bulk amount for a couple dollars, or on Amazon. Dust masks are an obvious choice. Who wants to breathe in nasty stuff you’re sanding off time and time again? Again, these are very cheap at a hardware store and can save your lungs! Eye & ear protection is also a must. I use saws, sanders, air hoses, sprayers, drills, nail guns, etc. It only takes one instance for you to really do a doozy on yourself. A good pair of eye protection or goggles is a very tiny investment in your health. As for your ears, well…I think it’s obvious. Ummm…you can bet you’re going to need rags when working on furniture. I never make a mess, and if you believe that I have some swamp land I’d like to sell you. hee, hee. Here goes: I use old socks and t-shirts for stain, old cloth diapers for buffing wax, and old wash cloths for wiping up drips, fingers, and kids who almost incessantly touch where they’re not supposed to. Boy, do I run through a whole lot of cardboard. What a versatile medium that is from creating hide-outs for my kids to being a catch-all while painting. Thankfully, I have a resource through various places, like my hubby’s workplace, hardware stores, wherever there are boxes!! Seriously though, I used under my pieces to protect flooring. 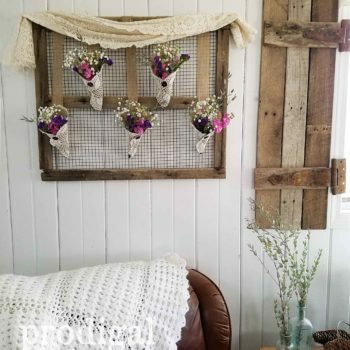 Why don’t I use a drop cloth? First, cardboard is free. I repeat, FREE. Second, cardboard soaks up the paint so nicely and prevents me from tracking my mess all over my shop or home. Third, it’s lightweight and easy to store. Fourth, it recycles – drop cloths get dirty and have to go to the dump. Fifth…I could go on, but will stop inundating you with “th’s”. To remove veneer like butter off of hot toast, just soak a bath towel in water (nothing else)like you’re trying to drown the wood, and lay on veneer overnight. Even dump extra on. EASY! 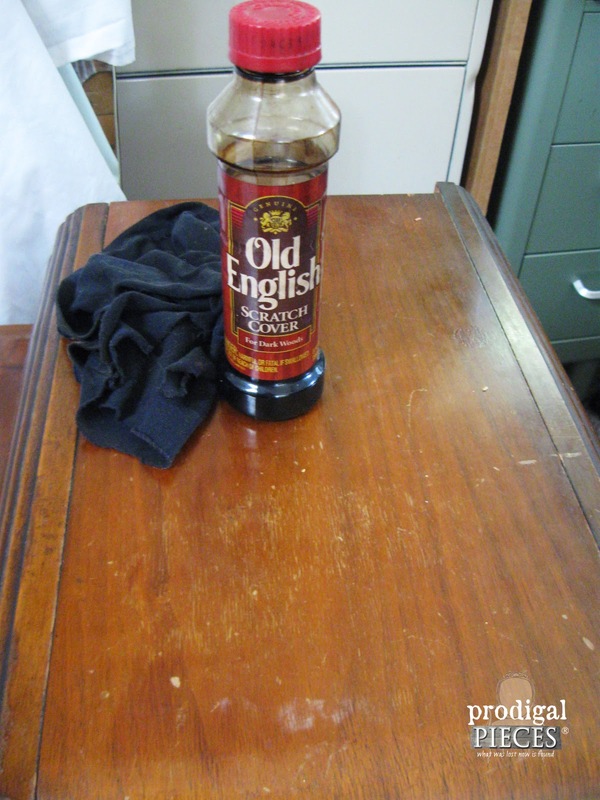 To hide scratches & minor blemishes wipe on Old English Scratch Cover . BAM! Comes in various shades to match you finish. See the difference below: the left without it and the right with…amazing! To remove sticky residue from stickers, grab your alcohol. Not a drink, just your drug store Isopropyl stuff. GONE! To get rid of musty odor and smoke, just set your piece, with drawers removed, in the sun for a day or two or wipe down with vinegar. FRESH! I hope all this information helps you in your furniture journey. I could seriously share more, but tried to keep it to the basics. 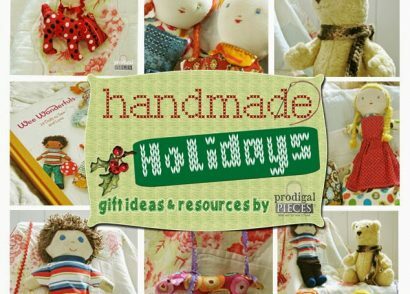 Please feel free to ask me any questions at larissa@prodigalpieces.com – I’d love to hear from you! What a great blog post. Thanks for sharing all these great tips. Great tips and advice! 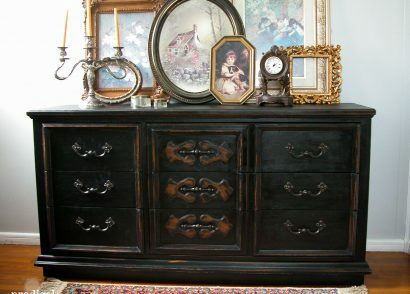 I am at “medium” level restoring furniture and your input is highly valued, thanks! I’m very interested in your tip on removing veneer. You said to soak a towel and place it on the piece overnight. Do I just soak it in water or should it be hot water or is there a product I should soak the towel in? Thanks. Hi Stephanie! Yes, just super-soak it in water, even pour more on and let it sit. Let me know if you have any questions! I just spent an entire hour reading post after post on your site. Your pieces are well done, I appreciate your work and the way you tell your stories. I’m not a momma yet so I’m also wildly impressed that you’re able to do everything you do with six little ones. Does your husband work from home?! Anyway, I most just want to say that I think I’ve found a new favorite website. Keep up the good work! In lieu of not knowing for sure I’d go with chemical. Wood! I don’t have a workshop or much in the line of tools but I like working with wood whenever I can. I had two years of woodshop in HS and loved it. Wonderful, useful information for a beginner! Thank you!! Awesome! I need to do an updated post as so much has changed, but plenty the same too. Thanks! 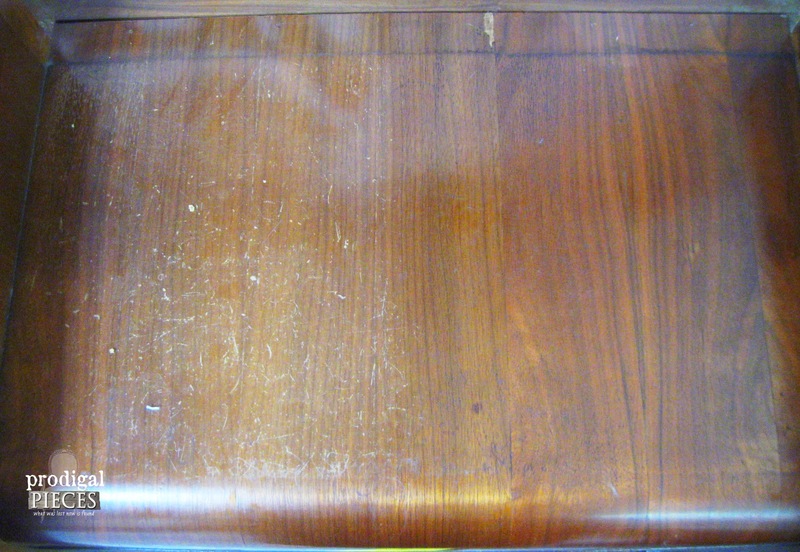 Larissa, I have a hutch that is veneer, I’ve removed the varnish and given it a light sand. Can I white wash it or do I need a more solid finish? I think you can whitewash it no problem. Do you mean have a primer before paint? Feel free to email. Would you recommend a primer first? Wouldn’t that take away from the whit wash look? It would to an extent. Some use the term whitewash loosely and mean a solid white color. If you want a true wash, then no primer. Hello, Larissa, I wanted to just say “Thank You so much” for sharing so much wonderful (&important) information. I thought I had subscribed to your blog etc. B4, but could find nothing!! I made sure I am following you on Pinterest as well. Thank you so much, Rita. I hope you have fun!